A chic jacket perfect for layering! 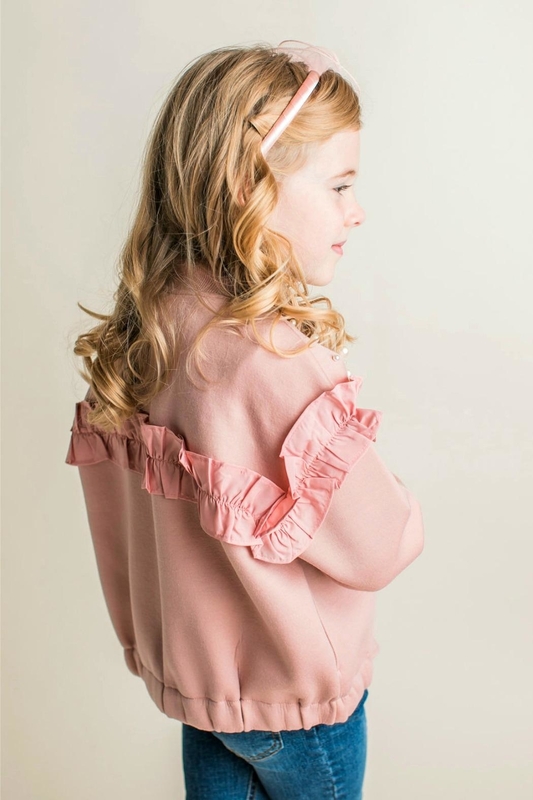 Mae Li Rose designed a bomber style zip-up jacket in a precious shade of rose pink embellished with faux pearls and accented with brighter pink ruffles at shoulders and yoke at mid-back of the jacket. Head out in style!